New York State continues to be at the forefront of the high-tech electronics industry through innovative tax incentives and other support for research and development (R&D), capital investment and advanced electronics manufacturing. Several of the industries and sectors that benefit from the state’s robust R&D facilities, tech infrastructure and workforce include semiconductors, power electronics, photonics, photovoltaics, nanotechnology and many others. By working with private companies and establishing public-private partnerships, billions of dollars have been invested in SUNY Polytechnic Institute’s (SUNY Poly) Albany complex, where cutting-edge research is performed by industry leaders such as Applied Materials, GlobalFoundries, IBM, LAM Research and Tokyo Electron. 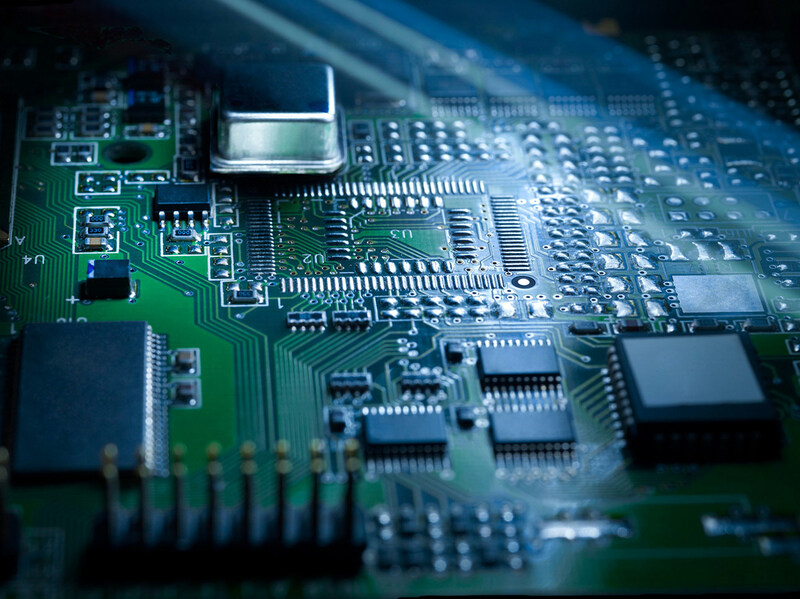 These efforts have firmly positioned New York State at the forefront of semiconductor R&D. New York State ranks No. 2 in the nation in academic R&D expenditures, and this research is split almost evenly between upstate and downstate colleges and universities. New York State ranked fourth in technology and innovation in 2016 (CNBC), thanks to the state’s well-educated and technologically literate workforce. Investments in R&D facilities are eligible for a 9% corporate tax credit; R&D expenditures can qualify for a 6% Excelsior R&D Tax Credit . Empire State Development’s Division of Science, Technology and Innovation (NYSTAR) funds 15 Centers for Advanced Technology (CATs) and 13 Centers of Excellence to encourage greater collaboration between private industry and the universities of the state in the development, application and commercialization of new technologies. FuzeHub, the state’s Manufacturing Extension Partnership, provides a range of services to small and mid-sized manufacturers. The New York State Smart Grid Consortium supports tech companies by bringing together the world’s leading energy experts to identify opportunities showing the most promise for broader smart grid technology deployment, including microgrids. The organization promotes shared institutional knowledge and accelerates the advancement of technical change. It is the only organization of its type in the U.S.
New York State’s excellence in IT and electronics comes from having a strong educational and research backbone that the industry can leverage and rely upon. This is bolstered by New York’s world-class educational and research institutions, as well as our Centers of Excellence which focus on multiple high-tech sectors, including the nanoelectronics and electronics industries. Beyond educating today’s tech workers, many of New York’s top universities take an active role in innovation and problem solving in the tech industry itself. New York State is also home to the American Institute for Manufacturing Integrated Photonics (AIM Photonics), a public-private partnership to develop the next generation of integrated photonics and deliver global manufacturing leadership. The institute’s Test, Assembly and Packaging (TAP) facility, located in Rochester’s 1,200-acre Eastman Business Park, tests, assembles and packages microchips for semiconductors. Learn more about how Datto, a data-backup and business management software company, is thriving in Rochester.